It’s easy to play video games on your PC - even if you don’t have a top of the line gaming computer with a $600 graphics card, enjoying indie games or old classics can be done on just about any computer, or, often, even your phone or tablet. But, a tablet’s screen, or a PC’s mouse and keyboard, aren’t always a great way of controlling games, especially classics designed for a gamepad. Fortunately, there are a lot of good options for game controllers available out there. 8bitdo sells a variety of them, all modeled after classic Nintendo controllers. My favorite, the SN30 Pro, looks like a Super Nintendo controller with a few important differences. First of all, it’s completely wireless - it connects via Bluetooth. It also has a few extra buttons and two analog sticks, to make sure it has the same control possibilities as other modern controllers. This is a great controller for someone who mostly wants to play classic games, but also might want to play a modern shooter every once in a while. 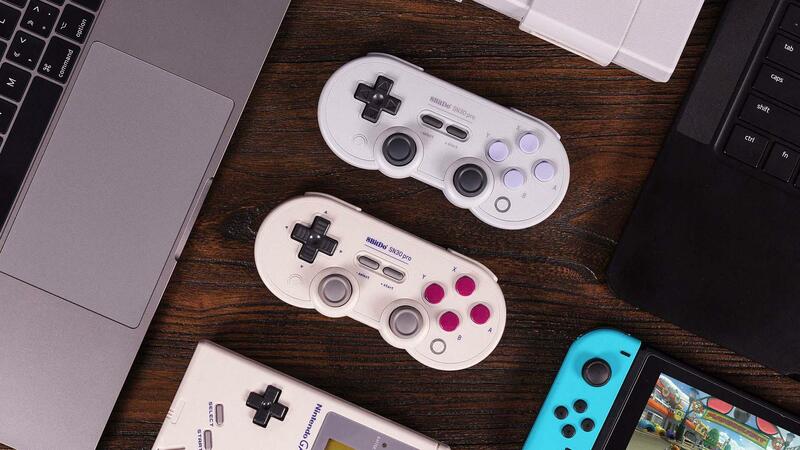 8bitdo controllers will connect to PCs, Android phones and tablets, the Nintendo Switch, and with an adapter you can even use them with an original Super Nintendo or SNES Classic. Owing mostly to Microsoft’s influence, the prototypical gamepad for PCs these days is the Xbox One controller. It’s comfortable, easy to find, and most PC games come with support built right in. Many games even change the on-screen prompts to match the buttons on the controller. You can plug it in using a USB cable, or newer versions also have Bluetooth built in. If you’re mainly playing newer games, mostly on PC, this is the controller to use. Most games can be played with just a keyboard and mouse, too, or on-screen controls, but these controllers have been designed to be comfortable holding for hours. So, if you’ve been playing games without a gamepad, give your wrists a rest, and relax with a gamepad in hand.